Global March Against Child Labour is pleased to announce the appointment of the new Board Member from the North America Region, Ms.Norma Flores Lopez, and hopes to be guided by her vast experience in the field of child labour, especially in the agriculture sector, which houses 50% of child labourers of the world. 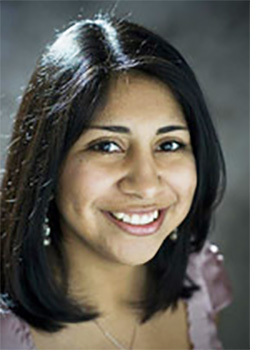 Norma Flores Lopez is the Governance and Development/Collaboration Manager at East Coast Migrant Head Start Project and serves as the chair of the Child Labor Coalition’s Domestic Issues Committee. She has long been an active advocate for migrant farmworker children’s rights and continues to raise awareness on issues affecting farmworkers and creating meaningful engagement with the farmworker community in her current role. Norma has had the opportunity to testify before Congress and has appeared on national news outlets including, 60 Minutes, on issues related to child labor in agriculture. She has also been invited by international governments to consult on strategies to reduce child labor abroad. In addition to her years of experience as an advocate, Norma has invaluable firsthand experience with farmworker issues. Growing up as a child of a migrant farmworker family from South Texas, she began working in the fields at the age of 12, where she continued working until she graduated from high school. Prior to joining ECMHSP, Norma was the director of the Children in the Fields Campaign at the Association of Farmworker Opportunity Programs. Previous prior work also includes managing national and local clients at public relations firms. Norma has also represented Association of Farmworker Opportunity Programs at the International Conference on Child Labour in Agriculture organised by Global March Against Child Labour in Washington D.C. (USA) in 2012, which aimed at catalysing meaningful and constructive action for protection of children from exploitation and elimination of child labour in agriculture. Additionally, Norma serves on the Board of Directors for the National Migrant and Seasonal Head Start Association since 2015, and on the Board of Directors for the National Consumers League since 2016. She was selected to participate in the Pahara Next Generation Fellowship. Norma holds a Master’s of Public Policy from George Mason University in Fairfax, Virginia. She graduated from the University of Texas Pan-American in Edinburg, Texas, with a bachelor’s degree in communications and studied abroad at the Universidad de Salamanca in Spain.